Looking for great volunteer software? 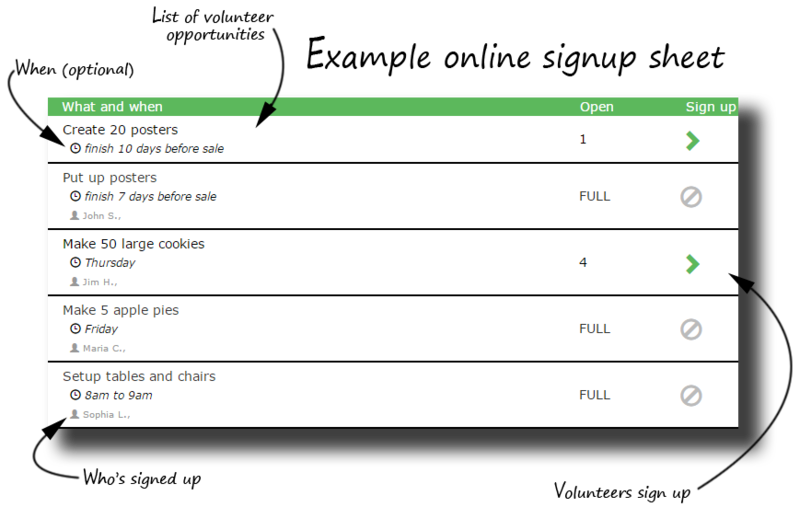 Create 100% FREE online volunteer signup sheets. No ads, no spam. By volunteers, for volunteers. Mobile friendly, too! Volunteer Signup lets volunteer coordinators quickly create a free online signup sheet for school and church activities, club events, bake sales, walkathons, creek cleanups, block parties, food drives, ski swaps or races, PTA activities, etc. 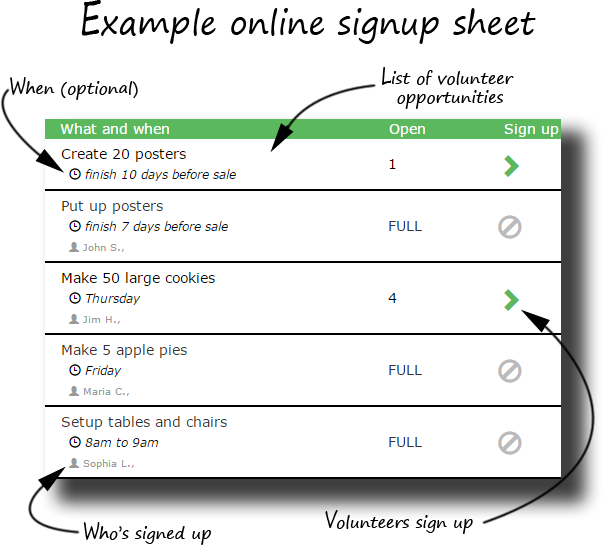 Creating an online volunteer sign up sheet is very simple, and saves time. You can easily track volunteer hours, too. 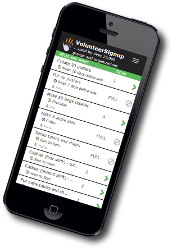 Volunteer Signup is provided as a completely free service, made by volunteers, for volunteers. It may be used for non-commercial, volunteer-supported activities that provide social benefit. There are no ads or fees and we do not use your details for anything other than running the site. VolunteerSignup is provided as a completely free service, made by volunteers, for volunteers. It may be used by non-commercial, volunteer-supported organizations that provide social benefit. 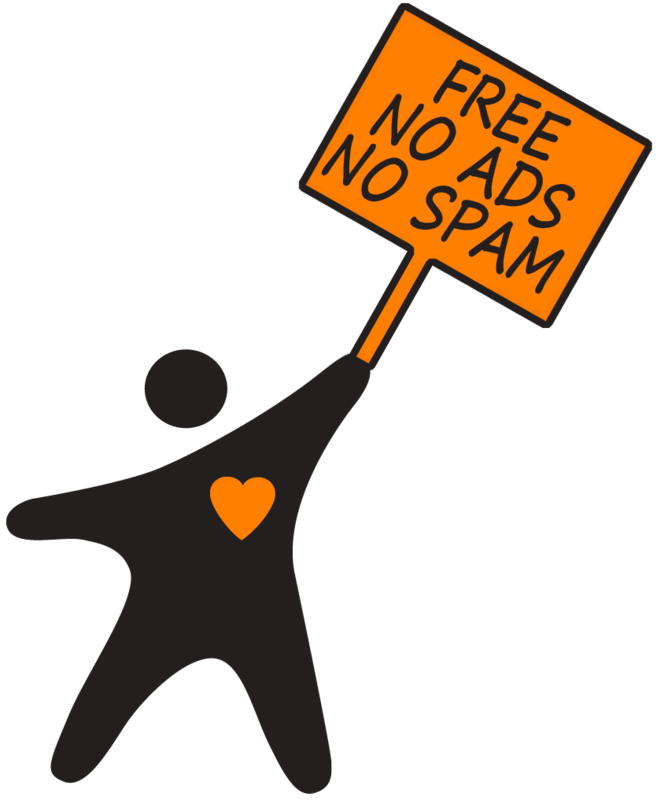 There are no ads or fees and we do not use your details for anything other than running the site.